New Jersey, a place synonymous with cake bosses and feuding housewives, now has something of substance to be proud about. And no, it thankfully has nothing to do with the Shore either. 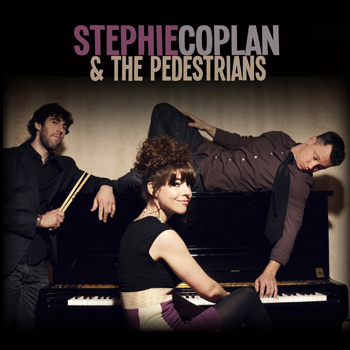 We’re talking about the sassy, witty debut album from Hoboken and NYC natives Stephie Coplan and The Pedestrians. Their self-titled EP is destined to lodge itself in your subconscious with its playfully fun lyrics and music. Opening track and EP single “Jerk” has us reminiscing of a young Shirley Manson in the early stages of Garbage. Easily destined for major radio play, the song does get angsty at times, but it doesn’t bother us enough to prevent us from dancing and unconsciously humming to the lyrics. The singalong continues with the uber-catchy Dresden Dolls-esque “Take Me Back to the Suburbs” with its lighthearted pop culture references abound. Where the band really shines, however, is in their softer songs such as closing track “We Don’t Need Much.” Coplan’s piano skills truly shine throughout the album but here, they’re fully on display and complement her honest lyrics and melodies so perfectly.